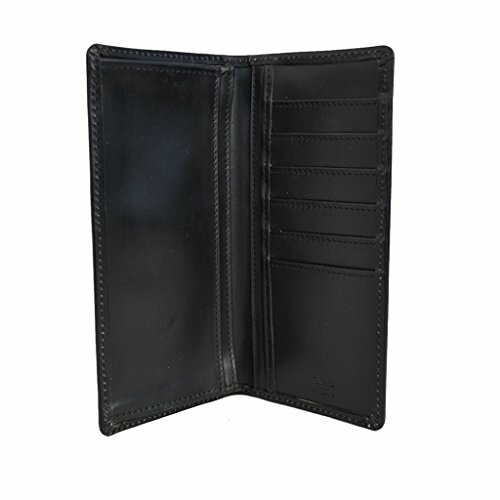 Mens slim leather breast wallet with 6 vertical credit card pockets on right side with 2 currency pockets underneath. On the left side is a single gusseted pocket. A modern style that fits in any suit. Produced in English Bridle Leather with silk moire lining. Made in England for Sterling & Burke. Bridle leather is hand fed with waxes and tallow during the tanning process and allow the leather to break in beautifully, creating a wonderful patina that gets better with age. If you have any questions about this product by Sterling & Burke, contact us by completing and submitting the form below. If you are looking for a specif part number, please include it with your message.